Co-sleeping with little babies is one of the most important aspects parents should pay attention to. After a tragedy happened to her 6-week-old son, a grieving mother decided to share her story to raise awareness among other parents. Rowan Leach has been a mother for six unforgettable weeks of her life until a horrible tragedy happened to her precious baby. One day, Rowan woke up to find her 6-week-old son, Hadley, lifeless beside her in bed. Being a good mother was the main priority for Rowan. She read a great variety of books on parenting and childcare. Unfortunately, in some cases, the worst things can happen even to the best parents. Leach had taken Hadley from his cot into her bed for a feed, but she fell asleep accidentally. When the woman woke up several hours later, she found her little boy face down. He was unconscious. Rowan immediately called the ambulance, and began performing CPR before medics arrive. Tragically, despite her efforts and medical help, Hadley could not be revived. We are grateful to Rowan for sharing her story. It must be really hard for her to recall that tragedy, but she did it to save someone else’s baby. 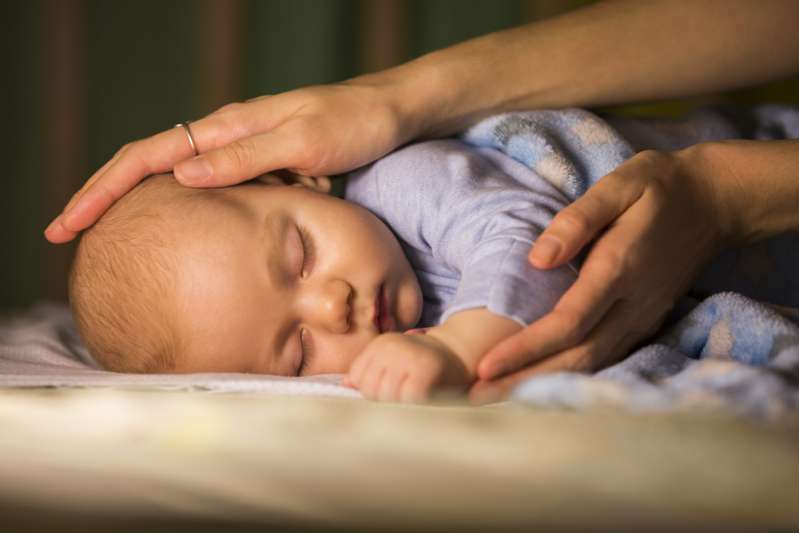 The statistics say that about 3,500 infants die every year in the US from sleep-related deaths. All these babies had mostly lost their lives from accidental suffocation in a sleep. 1. Do not share a bed with a baby under 3 months old, but share a bedroom to check whether a child is sleeping safely. 2. Make sure a baby doesn’t sleep face down. 3. If you have taken medication or drugs that make you drowsy, do not take a baby to nap beside you. 4. Check your baby a couple of times during a night until he/she turns 12 months old. 5. Do not let babies sleep with cuddly toys, blankets, crib bumpers at least until they are 3-4 years old. Dear parents, make sure you follow these rules for the sake of your children.